X-Ray Associates of Louisville is a unique group of sub-specialized radiologists that provides exceptional diagnostic and interventional care to patients and extensive radiology service to the referring physicians. Our radiologists have the benefit of state-of-the-art technology. We also provide sub-specialized cross-sectional interpretations for multiple satellite specialized surgical groups in Louisville. Patients and referring physicians can be assured of unsurpassed excellence. 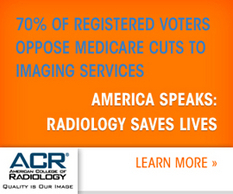 Our radiologists never outsource examinations and provide 24/7 coverage 365 days per year.